So we had this awesome giveaway thing last week thanks to our partners from AT&T, and we promised to present one of you with a brand new Optimus G for AT&T. Today we're doing just that - announcing that the winner of our giveaway is user mozes316. Congratulations! mozes316 will be taking home what is one of the best smartphones on the market today, featuring a blazing-fast Snapdragon S4 Pro chipset, LTE, 2GB RAM and what not. 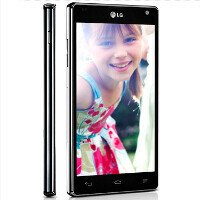 The LG Optimus G is really an amazing handset. For those of you who didn't win... well, better luck next time, guys, but of course, if you really, really want to experience the power of the Optimus G, you can always purchase one from AT&T right here for $199.99 on contract. Thanks to all participants, and once again - congratulations to mozes316! i think u have never used a apple iphone. i use android the freaking htc one s on timobile. the ipod touch 5g. android is nothing comparing to apple. if u use android and the apple device the latest then you will understand how smooth apple ios is.one you will love. Hopefully the next giveaway is the Nexus 4. I know that'd make me and everybody else extremely happy. Congratulations mozes316! That's a very nice phone to win. congrats bro.so happy for you. Congrats mozes, just curious where are you located? bet my friend i could jump off a two story building into a swimmin pool for a bucket of fried chicken... and won! might have a leg cast, but a full tummy.